Jeddah: Western Digital Corporation announced their participation will have access to WD’s market leading range of storage technology across both the content solutions and components space. the storage innovations leader will showcase the newly launched range of WD Blue® and WD Green® SSDs , the first WD-branded SATA client SSDs, designed for building PC systems and upgrades through the reseller channel market. According to TrendFocus, storage market tracking company, shipments of SSDs in the first quarter of 2016 were up 32.7% compared to the same period a year ago. The new SSDs complement WD’s leading range of hard drives for PCs and workstations, providing a full portfolio of WD storage devices for virtually any application. “For some time now we have witnessed a growing interest in SSDs driven by affordable SSD solutions, advancements in the technology, and an evolving ecosystem. 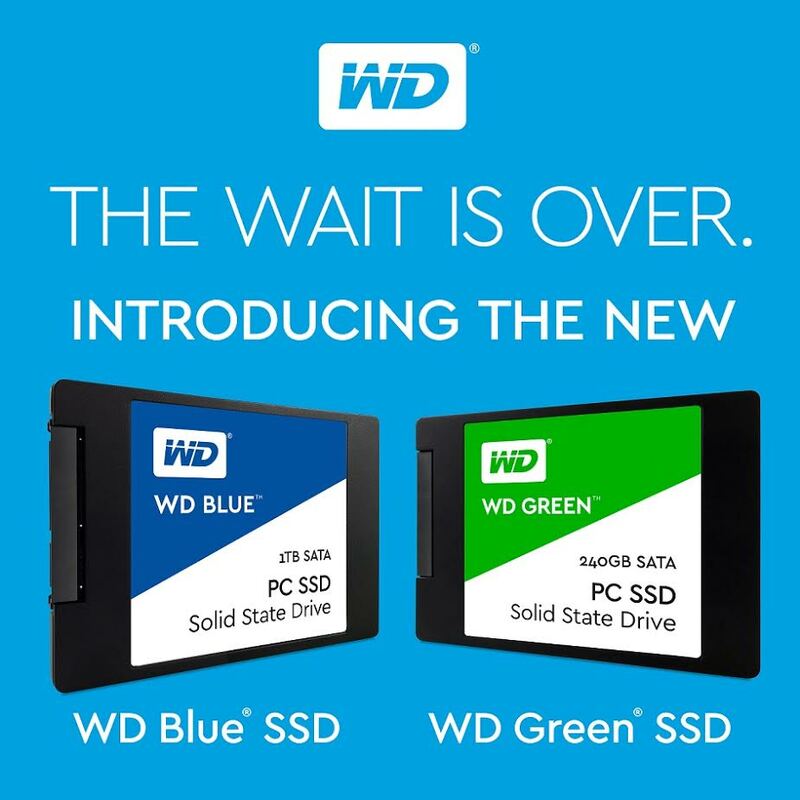 Mindful of the demand, we launched our new range of SSD offerings – the WD Blue SSD and the WD Green SSD. With their high performance, durability, endurance, low power consumption and exceptional level of software support, the two drives are suited to a new cohort of consumers,” said Khwaja Saifuddin, Senior Director, Components Division, India, Middle East & Africa, Western Digital. WD will also introduce a first showing of the modern and innovative redesigns of its My Passport®, My Passport for Mac, and My Book® hard drive lines, which have been highly, recognized leading sellers for more than a decade. In partnership with fuseproject, an award-winning industrial design and branding firm, the reimagined products were built with the customer in mind. Developed to help make a connection between the device and user, the new drives also include password protection and hardware encryption so customers will love their hard drive as much as they cherish the content stored on it. “We are proud to present a new range in storage innovations at the region’s premier ICT exhibition and conference, coming together with our customers and partners from across this vast region to cement WD’s position at the very core of the changing storage ecosystem. As the region continues to boast ambitious investments in digitization and enhanced connectivity for enterprises and individuals, customers need choice to ensure they choose the best storage solution to meet their unique needs and requirements. At WD, we are proud to extend our customers the ‘power of choice’ to help them store, manage and secure their prized information assets. We look forward to welcoming visitors to our partner stands and engaging with them on how WD fits into their business roadmap and strategy,” added. Khwaja Saifuddin. WD will present its solutions in partnership with Nirsun Technology, Logicom, QNAP and Data Care.